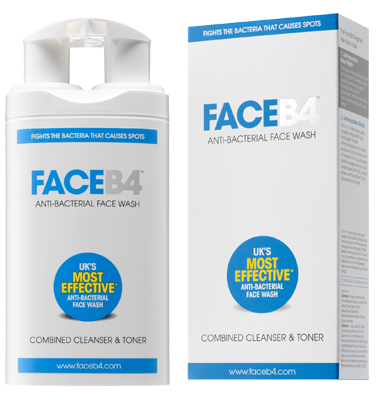 ★ ★ ★ ★ ★ A must have for any bad skin days. ★ ★ ★ ★ ★ Clear skin wanted? Buy this! ★ ★ ★ ★ ★ This product is absolutely amazing. Really worked for my skin. My skin felt regenerated. 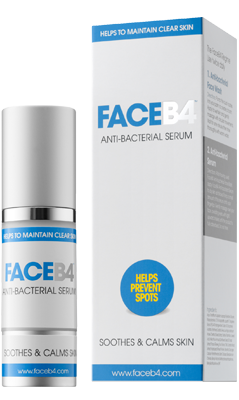 ★ ★ ★ ★ ★ I love this product, my skin felt amazing and left it really clear. ★ ★ ★ ★ ★ Super fantastic facial skin magic. This cleansing foam works miracles. This is what our customers say about FaceB4. Read more here. Spots don’t discriminate between male and female. My skin used to be quite dry in places but i had an oily t-zone. After using FaceB4 for a week and a half i started noticing definate changes in my skins appearance. It was alot clearer and the blemishes around my cheeks and forehead had gone. I started using it during one of my worst breakouts for a while. The spots began to heal a lot quicker than normal and the redness has dramatically reduced. I have also noticed my skin feels a lot smoother. © Copyright 2013 FaceB4 by Medichem. All Rights Reserved.